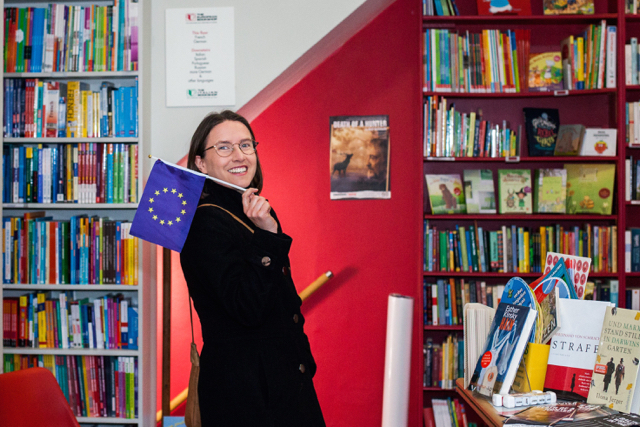 Our series of open meetings with Soile Pietikäinen of the Bilingual Potential continues at the European Bookshop in 123 Gloucester Road, SW7 4TE. Arrival between 6:30-7pm. Event 7-8pm. This is a free event for parents of bilingual families. Soile Pietikäinen is a sociologist specialised in bilingual family interaction. NB: Soile will not perform her Bilingual Cake talk. She will answer your questions using the concepts of the Bilingual Cake model showing how to apply them to resolving everyday life problems in bilingual families. The European bookshop will be open late for the event so that you can also buy books.